A-HOTEL.com - Luxury and cheap accommodation in Novaya Lyalya, Russia. 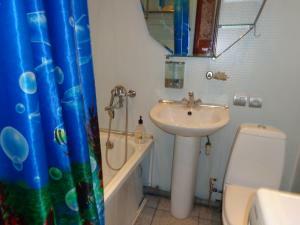 Prices and hotel, apartment booking in Novaya Lyalya and surrounding. Set in Verkhotur'ye, Guest house Babinov offers a garden and terrace. The property features a shared lounge, as well as a bar. Five Stars Hotel is located in Serov. Guests can make use of a bar. Featuring free WiFi throughout the property, Hotel Complex Nadezhdinsky offers accommodation in Serov. Guests can enjoy the on-site bar. Mini Hotel on Lenina is situated in Serov. All rooms boast a kitchen and a private bathroom. Offering free WiFi and city views, Apartment Venetsiya on Popova 26 is an accommodation situated in Krasnotur'insk. Guests staying at this apartment have access to a fully equipped kitchen and a balcony. Offering free WiFi and city views, Фрунзе 53 is an accommodation set in Krasnotur'insk. Guests staying at this apartment have access to a fully equipped kitchen. апартаменты is set in Krasnotur'insk. Complimentary WiFi is available. Hostel Prometey is offering accommodation in Krasnotur'insk. The accommodation features a 24-hour front desk and free WiFi. Offering free WiFi, Hotel Prometey is set in Krasnotur'insk. Guests can enjoy city views.